The difference between un- and effective drills, in my opinion, is not in how good the drill is but how well it suits the needs of your players and how well it is managed. Here are some lessons I’ve learned over the years that ensure I have the players’ interests at the forefront. Provide two or three objectives that should be the focus of the drill. Beginners benefit from a few simple ones, while veterans can still be confused by too many. Where teams have a mixture of experience, give the veterans different, more advanced, objectives to work on. Address different learning styles: explain technique and drills clearly, point out key aspects in a slow demonstration, and invite kinaesthetic learners to be in that demo group. For complicated open drills and dynamic scenarios, let everyone run through it a couple of times and check understanding before increasing intensity. Ask and field questions. It’ll take time, but save time in the long run. Balance correction and intensity. Often, specific technical aspects – such as passing – should involve low intensity and much room for correction. Conversely, developing unit skills should be done with moderate to high intensity and with not as much correctly. Team play often involves very little, if any, coach input as team leaders should be given the opportunity to assess and learn from their own actions. Planned progression can enhance learning and understanding. 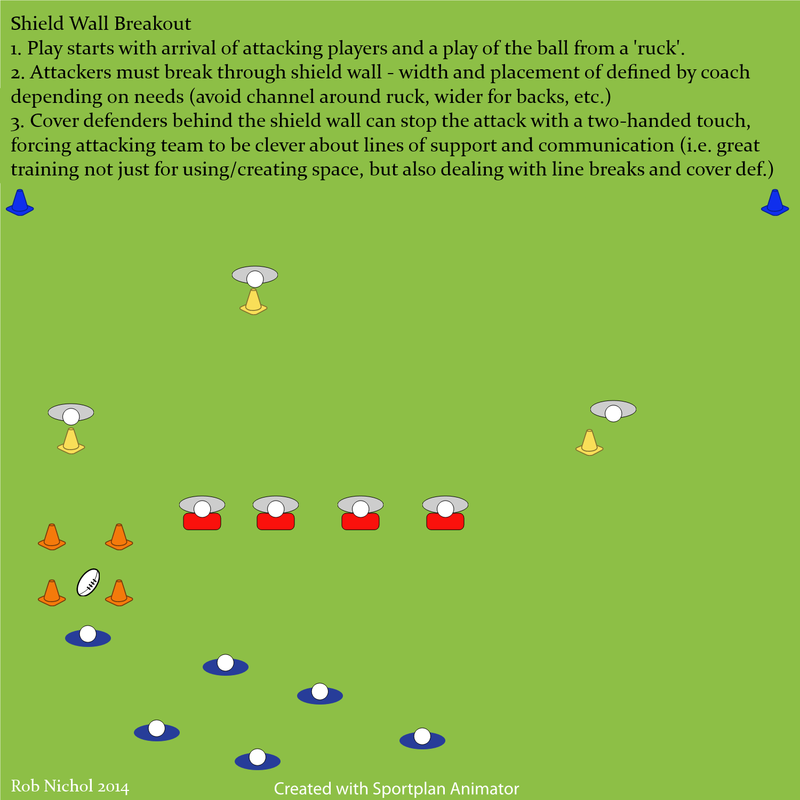 For example, if you want to work on your back line’s ability to work together in breaching a flat defence, you can start with passing drills to focus on quality, 2 v 1s to work on timing, 3 v 2s to practice unit skills, alignment, timing and communication and then finish off with a full 7 v however many defenders you want. This can take up a large chunk of your practice time, but the links between technique, skill, and game sense are made more clear and players should be able to move from being told what to do, to thinking for themselves and self-correction in a shorter period of time. There is no shame in going back a step or scrapping a plan altogether. We learn from mistakes, but few of us learn from frustration. If something’s not working, don’t be afraid to admit it and go back a step. Players will respect you more and appreciate the opportunity to realise success before trying to climb the mountain again. 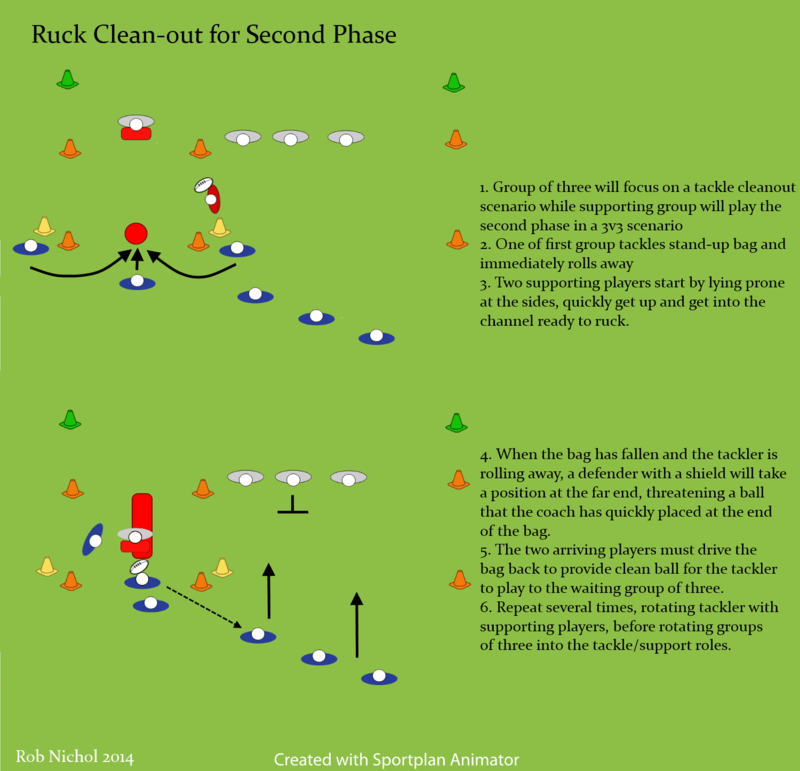 It’s always a good idea to leave a “skill” area set up off to the side of a dynamic scenario – if the 7 v 5 game isn’t working for one or two specific reasons, take five minutes to re-focus on those areas, and then get back to the game.